January was a cold one. Our oldest actually had 5 “snow/ too cold” days off of school. With him home a few extra afternoons and being stuck inside made me a little stir crazy with all our toys and abundance of “stuff” that we have. I challenged myself to clean and organize a new thing everyday. 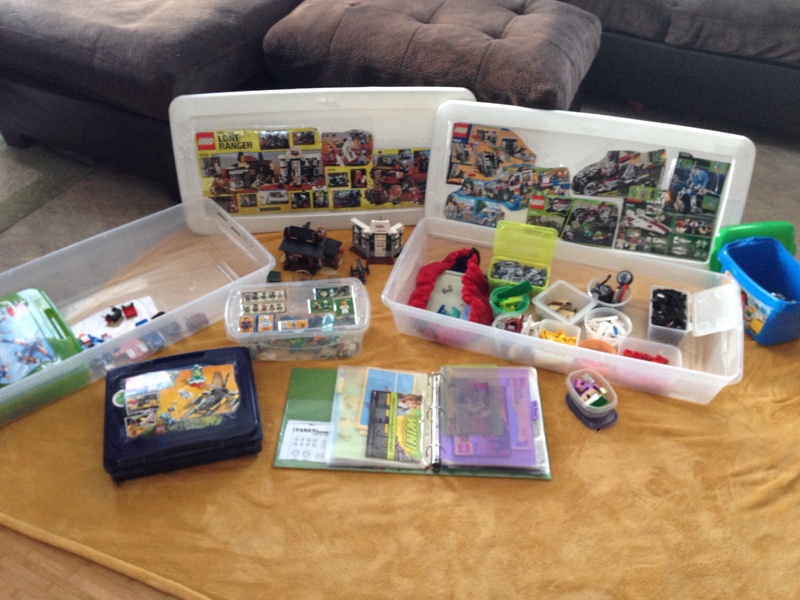 Sometimes it was a closet or a kitchen drawer, but one day (actually 3 days) I organized the boys Legos. 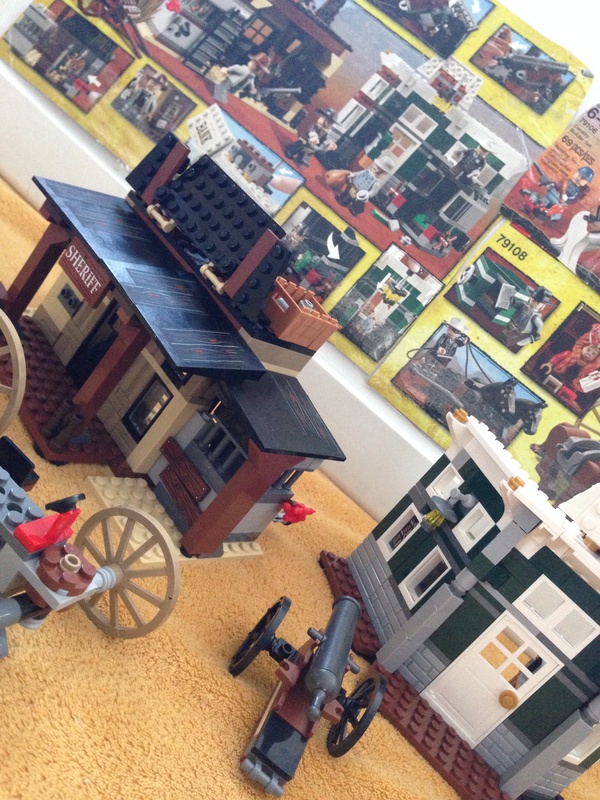 This turned out to be a lot of fun because we also built a few sets (which I think I enjoyed more then the boys). I pinterested the heck out of Lego storage and organization and after coming up short and not inspired, I made it my own. 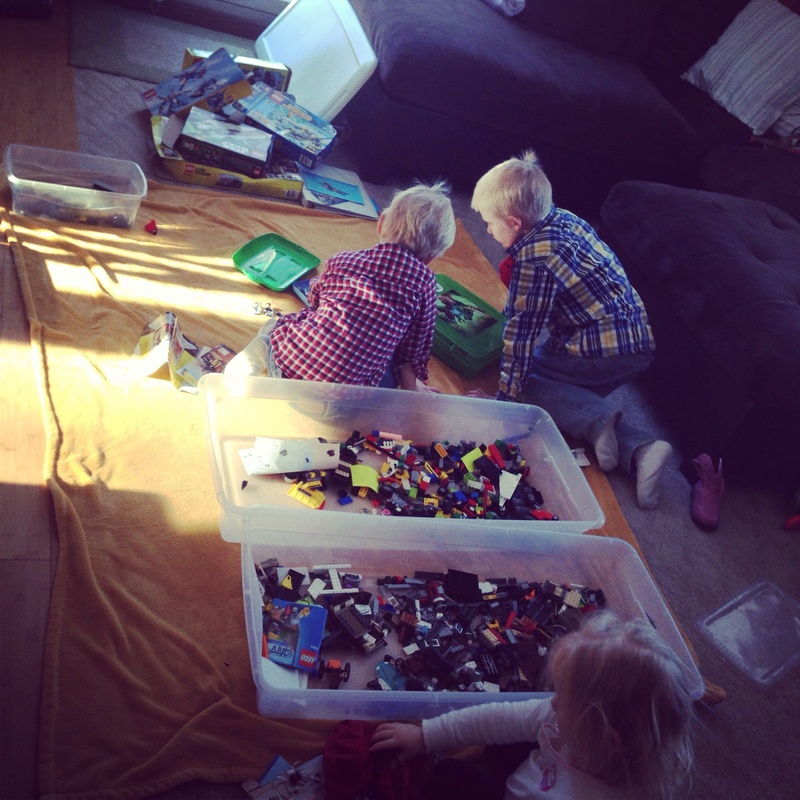 BEFORE: This was taken as I was preparing …picture them 90% of the time scattered throughout their room! DURING: We built and built and built. 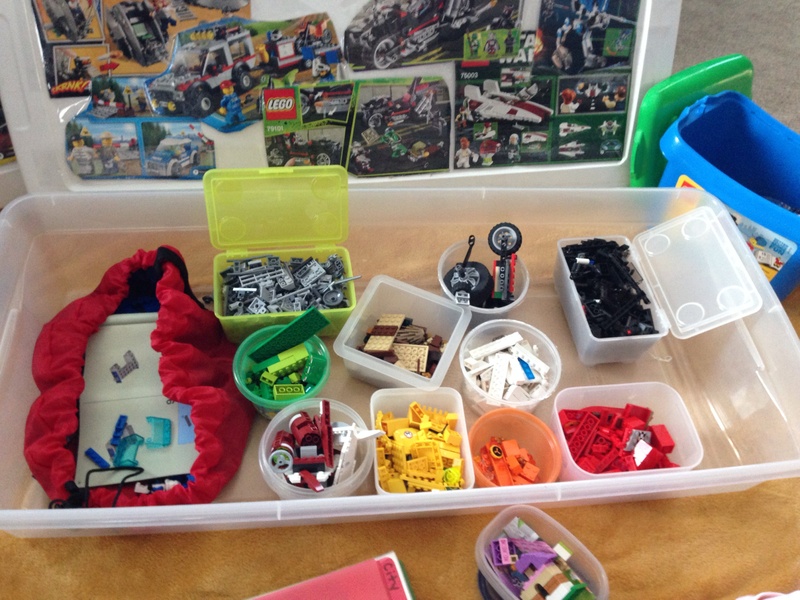 We coordinated and sorted all pieces by color to make it easier to build different sets. We got rubber maids with lids that are long to be able to sort pieces in (not on the floor) and could also fit under a bed. On the lids we taped a picture from the boxes of sets enclosed to get good visuals of what the completed set looks like. We also made a separate box (a shoe box worked great) for all the people and their accessories. Again, we taped on the pictures of the people they have on the top of the lid. 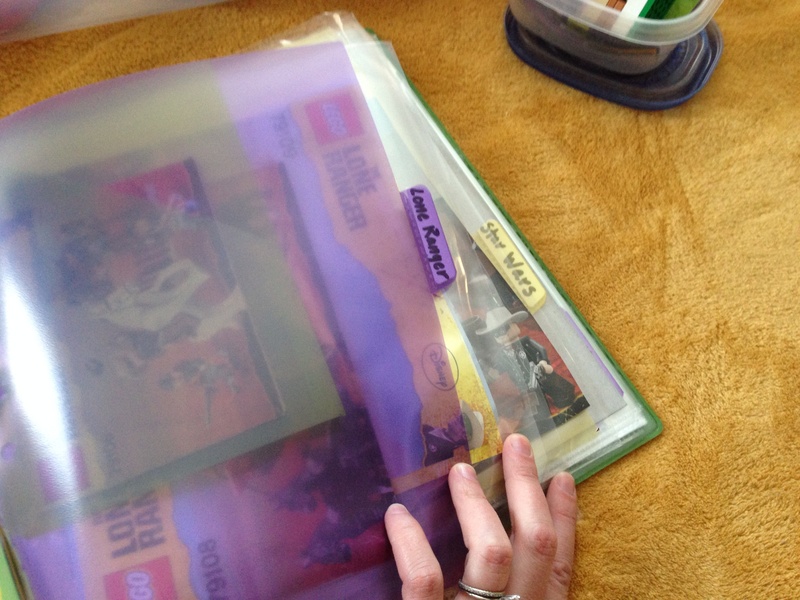 BINDER: We made a binder to keep all the instructions in. Here are tabbed sections for each set. In each section there are pocket pages for all the instructions for that particular set. FINAL: I know, your laughing thinking how a 4 and 6 year old are going to keep this….and your right, it lasted maybe 3 days but it felt good to do it. At least now everything has a home and the boys know how much easier it was to have it organized. Hope this inspires you to jump on some spring cleaning on this cold, 5 degree, Minnesota day! Wow! 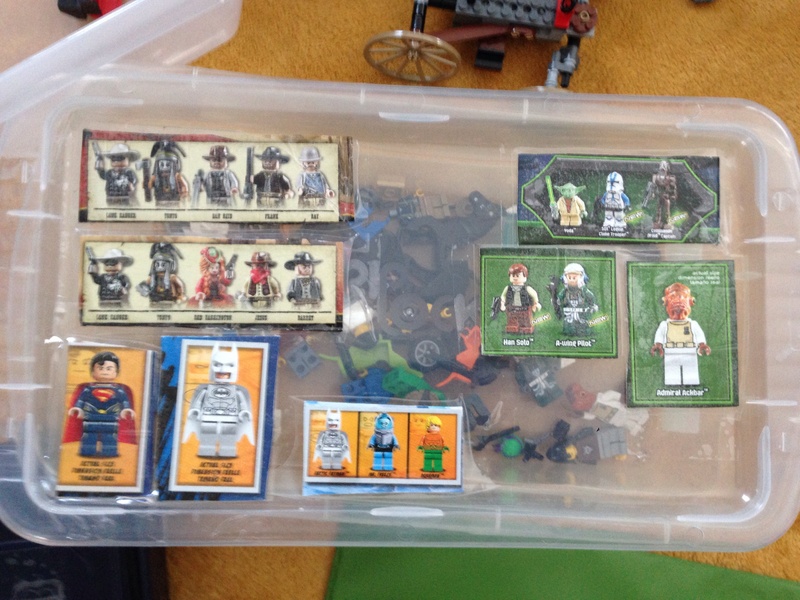 I have Lego organization envy! Your way is much better than mine, which is throwing every piece into a large bin and tucking it away. Out of sight, out of mind! Who knows, maybe I’ll be inspired to tackle that beast!